Just a short little post today! 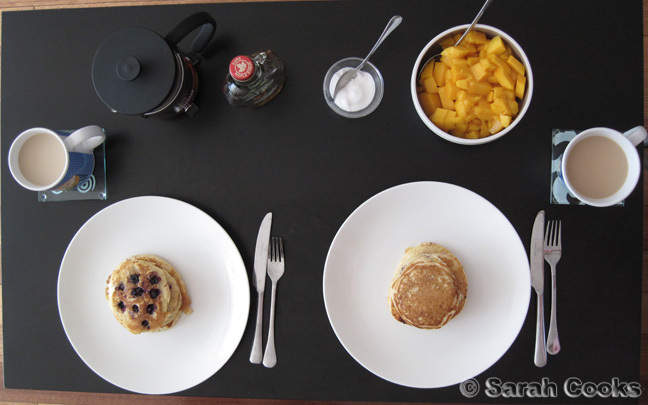 It's been a while since I blogged about pancakes, hasn't it? The long weekend us upon us, and what better excuse do you need to get into the kitchen for a big, indulgent breakfast? I actually made these ones quite a few months ago (eep! 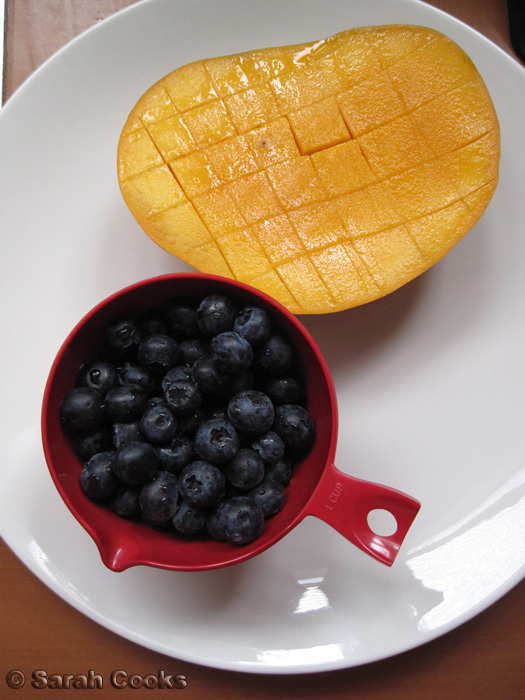 ), back when both blueberries and mangoes were in season. 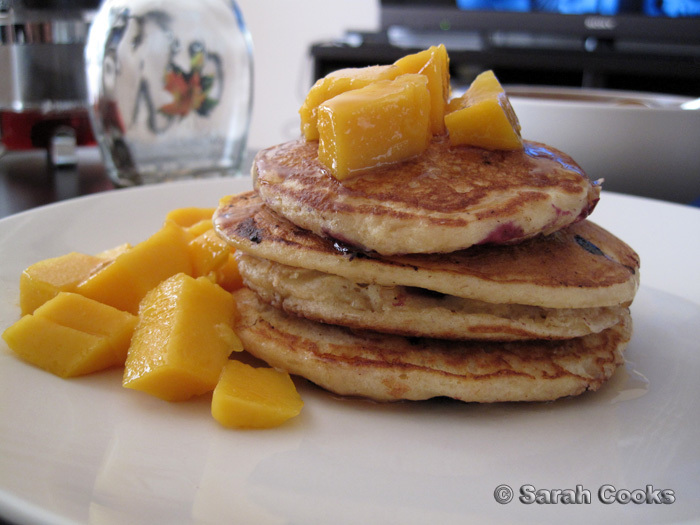 Those fruits aren't in season at the moment, but there's nothing stopping you from trying these pancakes with other fruits, say, some stewed apples or frozen blueberries! The original recipe comes from Bill Granger's book: bills open kitchen - and before anyone asks me, no, I won't be republishing it here. (You can read my policy on posting/e-mailing recipes here). Besides, a quick google search will yield the recipe! 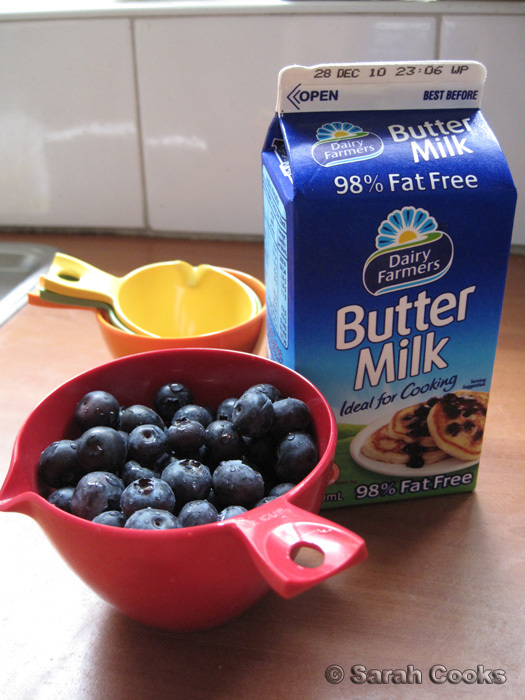 The acidity of buttermilk in the batter gives the finished pancakes a gentle tang and a tender texture. Whilst the recipe calls for buckwheat flour, I had none in the house, so I substituted wholemeal flour. (I'll give these a go with buckwheat flour again in the future!) 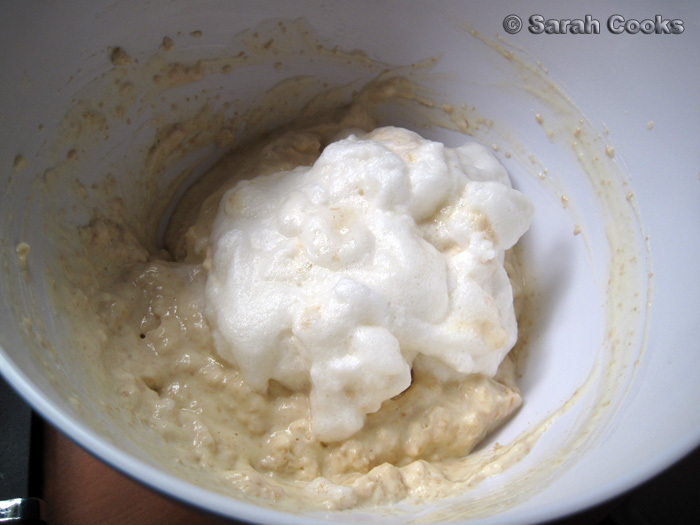 You also have to whisk the egg-whites separately, making the pancakes extra light and fluffy! 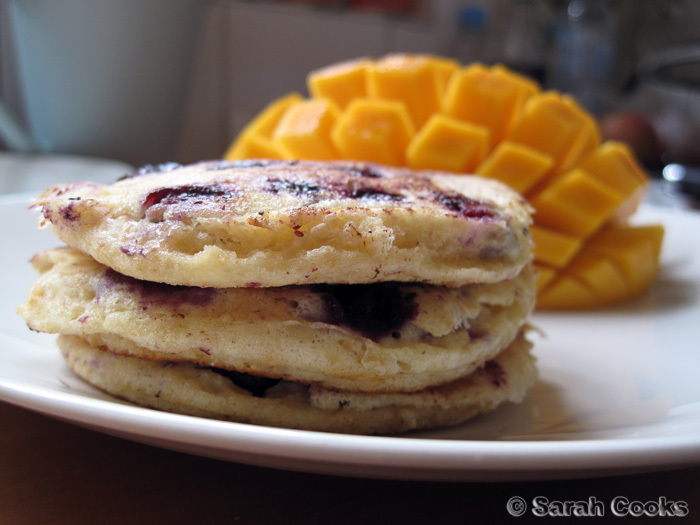 Serving pancakes with fruit allows you to pretend that they're healthy, hehehe. And here they are! 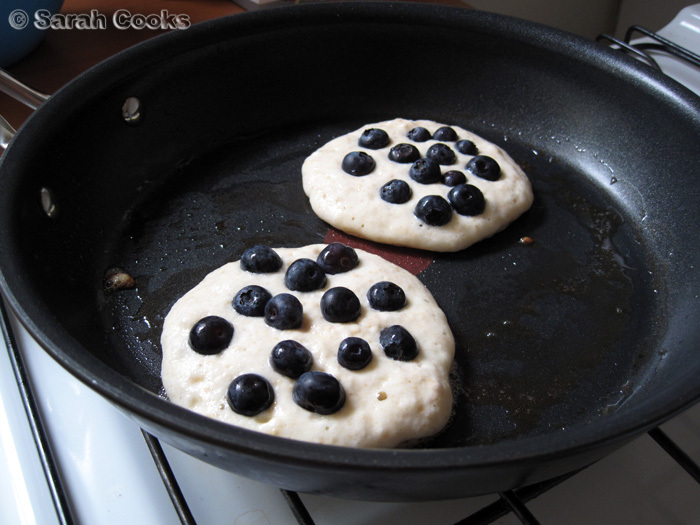 I love how the blueberries cook inside the pancakes, becoming like little balls of jam in the fluffy dough. I served them with tea, maple syrup and mango (which I cut into dainty cubes, rather than eating them messily from the cheeks). These were delicious, and surprisingly light, despite the wholemeal flour. I am very tempted to try these again, with proper buckwheat flour and bacon on the side (just like the Pancake Parlour's buckleberry pancakes). Who's with me? I have the same set of measuring cups hehe! Lovely recipe, now I feel like pancakes too! I love pancakes. It's a pain to have to whisk the egg whites, but always so worth it for how light and puffy they get.